From sixty seconds to sixteen minutes and sixteen seconds, this piece made to mark Bruce's 70th moves away from my approach to the one I did for his 60th. It mines a number of sources mentioned in Kevin Eden's 1991 Wire biography, Everybody Loves A History - music he grew up with, the songs of Lena Horne and Frank Sinatra, and the music, pre-Wire, that influenced him in his 20s, such as Captain Beefheart and Roxy Music. I used these as a springboard to create electronic soundscapes, twisting and stretching edits and loops I'd made in Samplr on my iPad. 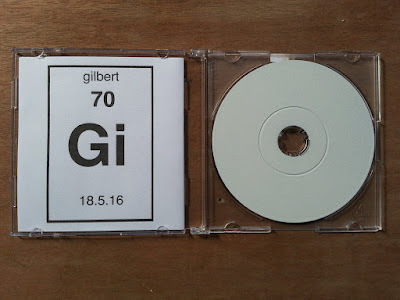 Some edits were left recognisable, and form some of the rhythmic and melodic content, as well as serving as cultural reference points. 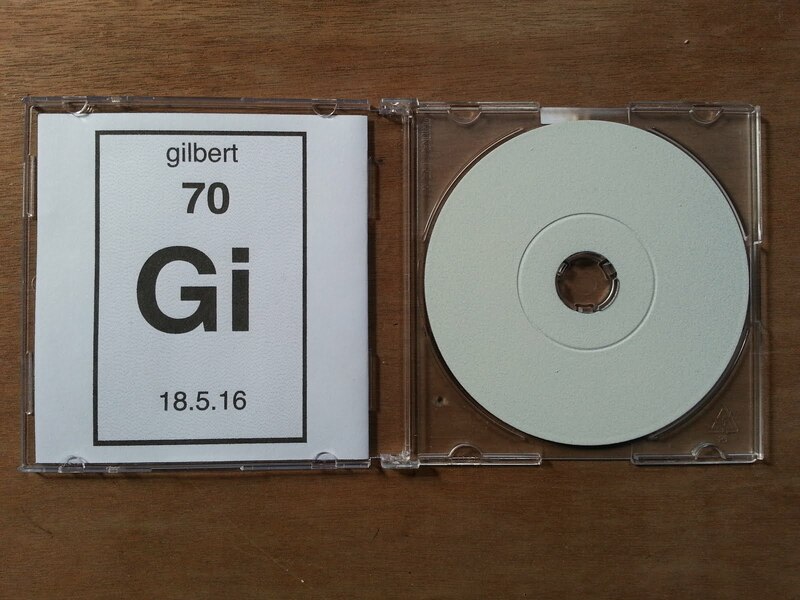 The title is made from two halves of two anagrams derived from Bruce's albums Ab Ovo and In Esse. 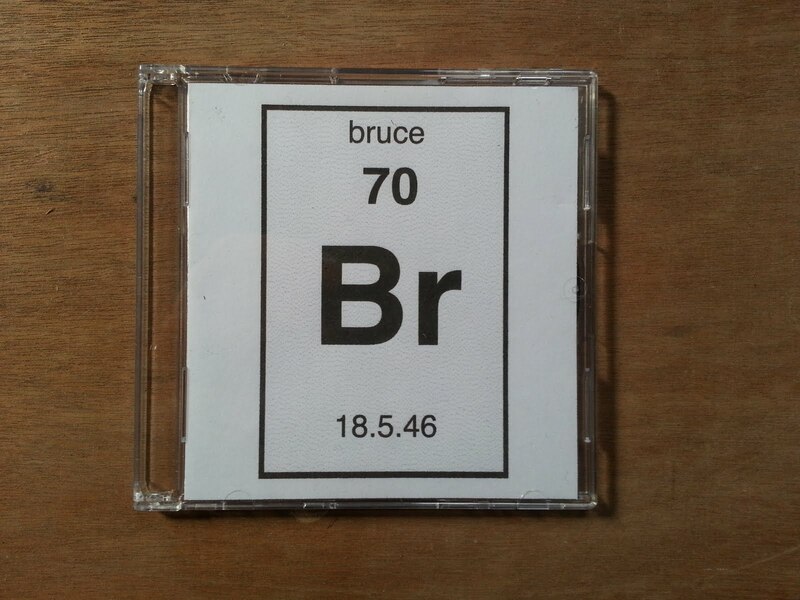 As a gift for Bruce, the piece was put on a 3” CDR sprayed white, with a cover design aping the periodic table, with the element number being Bruce's age, and the scientific number being his birthdate. 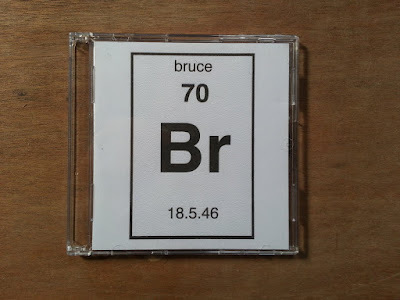 Not sure how I hit on the idea, but there's a nice link with the fact that Bruce's album, Ordier, was released on US label Table Of The Elements. Bruce had a fondness for war movies in the 70s, so that gave me free reign to explore various war noises and related references, including the theme tune from the 70s TV series The World At War. I wanted to broaden the mise en scene of the piece by including ads and sig. 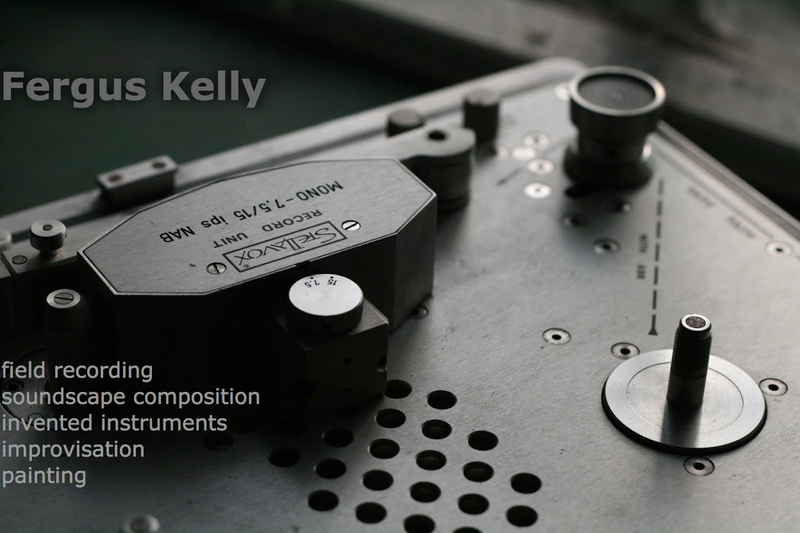 tunes from some 70s programmes, the shipping forecast, Monty Python, and some of my own field recordings to further enrich this plunderphonic tapestry. Some points of reference in terms of compositional methodology for me were elements of John Moran's The Manson Family, An Opera, Nurse With Wound's Sylvie & Babs, and early 80s Touch compilation tapes, with their penchant for odd confections of media snippets, loops and field recordings. Though not a conscious ploy, one of the Beefheart songs that I used, Veteran's Day Poppy, forms an interesting link with the WWII references.